Cervical esophageal cancers (CECs) are a rare subset of esophageal cancers that are distinct in their management and outcomes. This review explores current data on the optimal management of this disease. While outcomes for CEC have been suboptimal, several strategies have been proven beneficial in recent years. These include selective surgical resection or salvage surgery, chemoradiation (CRT) vs. radiation (RT) alone, dose escalation, IMRT, and induction chemotherapy. The optimal management of CEC to achieve the best oncological outcomes and minimize morbidity appears to be definitive chemoradiation with surgery reserved for selective salvage. While the benefit of dose escalated vs. standard dosing for radiation is unclear, most appear to use doses in excess of 50.4 Gy, even in the United States. IMRT might provide a benefit independent of allowing for dose escalation. Induction chemotherapy might allow for “chemoselection”, but the benefit is unclear. Haddad R, O’Neill A, Rabinowits G, Tishler R, Khuri F, Adkins D, et al. 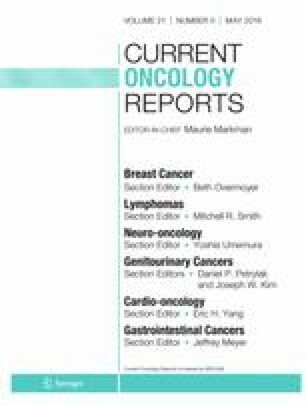 Induction chemotherapy followed by concurrent chemoradiotherapy (sequential chemoradiotherapy) versus concurrent chemoradiotherapy alone in locally advanced head and neck cancer (PARADIGM): a randomised phase 3 trial. Lancet Oncol [Internet]. Elsevier; 2013 [cited 2019 Mar 8];14:257–64. Available from: https://www.sciencedirect.com/science/article/pii/S1470204513700111?via%3Dihub. Accessed February 25, 2019.